Thank you Officer Simpson for your dedication and for paying the ultimate sacrifice for the fine folks in the great state of Mississippi. You are a true AMERICAN HERO !!!! My thoughts and prayers are with your family, friends and co-workers. May you forever, rest in peace, my sister. Thank you for your service, Officer Simpson. Thank you for your service and sacrifice Officer Simpson. Praying for you and your family. Thank you, officer, for your service. OUR DEEPEST SYMPATHY TO THE FAMILY OF OFFICER SIMPSON, AND ALL THOSE WHO MOURN THE LOSS OF OFFICER SIMPSON. OUR THOUGHTS AND PRAYERS ARE WITH YOU DURING THIS DIFFICULT TIME. HER SERVICE WILL BE GREATLY MISSED IN YOUR COMMUNITY AND HER DEEDS NEVER FORGOTTEN. Thank you for your service to our country and your community. May you rest in peace sister. We all love you. May you rest in peace and peace be with you. Rest in peace Sister Leann, you are a true American Hero and will never be forgotten for your service and courage. May the Lord comfort your loved ones. So sad to hear of the loss of a LEO. May the family of Police Officer Leann Simpson know that we all are mourning with them. May God comfort them and all that knew her. Thank you for your service, Officer Simpson, we have the watch from here. Final Salute Officer Simpson. Thank you for your service. You are a hero. Rest peacefully in the presence of God. We are praying for the family and fellow officers. The thoughts hearts and prayers of everyone here at CCPD go out to the families both blood and blue of Officer Simpson. May God watch over you all. Chaplain, Cape Carteret Police Department, Cape Carteret, NC. Rest In Peace Brother Officer. 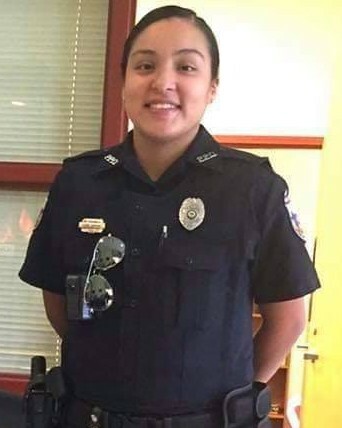 A police officer should be remembered not by how she died, but how she lived! A great woman has gone to secure a safe path for the rest of us to follow. Thank you to you, your family and the Philadelphia Police Department . Our country is a little less safe without you. Rest in Peace Sister!